Rynna is not your average young woman. Living in the slums, she lives with her parents as well as ten siblings. She works hard with her mother to see that her family is provided for. When her parents inform her that they have chosen a husband for her, she is surprised. With no dowry to offer, she had yet to receive any offers for marriage. However, the truth of the matter ends up being much more insidious. 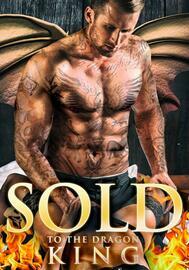 Sold for a bag full of coin, Rynna is thrust into the life of a slave. Though she makes some friends along the way, she can only wonder if she will find safety. The answer seems to come in the form of an elaborately dressed man. Finding herself among a dozen others, she realizes that she has only found herself with another question. Would she be chosen by the Dragon King?